Have you been delaying a visit to the dentist because of fear and anxiety? If you have, you are not alone. Many patients avoid regular care, and even the most critical of treatments, due to their dental phobia. Other patients are unable to go through standard procedures due to heightened sensitivity. Sedation dentistry options utilized by Dr. Cheryl L. Cushman at her Lithia Springs, GA, practice are targeted to address these concerns. With her help, you can comfortably receive the dental treatment you need. In addition to relieving anxiety and making treatments more comfortable, Dr. Cushman uses sedation during procedures that require an extensive amount of time in the treatment chair. 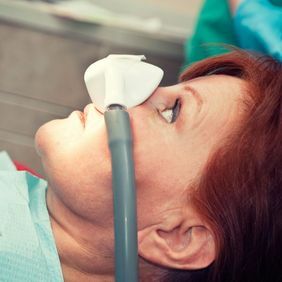 Sedation can help patients undergoing procedures such as dental implants surgery or osseous surgery, as well as regular extractions or gum disease treatment. Sedation is also ideal for patients who have difficulty controlling their movements or sitting comfortably for long periods of time. We are able to treat patients with special needs, a strong gag reflex, conditions such as arthritis, or those with injuries in their back or neck. Even if you have avoided treatment for years, our safe, effective sedation techniques can help you finally receive the vital care you need. Dr. Cushman and her compassionate staff are committed to providing the best care and ensuring the comfort of their patients. At Atlanta West Periodontics & Dental Implants, our patients are given all the necessary information which can enable them to take the right decision regarding their oral health. We can meet with you to discuss your fears or unique concerns, and can help choose the right sedation option for you. The different sedation options we offer can provide varying depths of relaxation. 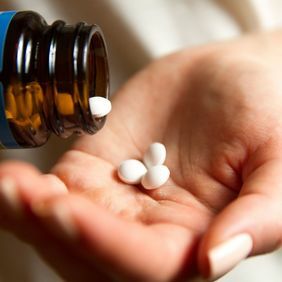 These prescription medications can relieve anxiety while allowing you to remain fully conscious. Oral conscious sedation will help you enter a sleep-like state that allows you to communicate with us, but you will typically remember little if any of the procedure. You will normally take one dose at home before your appointment, and another once you arrive at our office. These medications do not provide pain relief, so a local anesthetic is also administered. You will require a ride to and from our office when taking these anti-anxiety drugs. This form of sedation uses nitrous oxide gas (also known as laughing gas) to relieve discomfort and anxiety. The gas is administered through a mask to induce a state of relaxation. A local anesthetic is used in combination with nitrous oxide sedation to eliminate pain. Our office is dedicated to providing state-of-the-art dental and periodontal care in a relaxed and comfortable setting. By treating gum disease, missing teeth, gum recession, and other related issues, Dr. Cushman and her team help preserve and maintain the health of your smile. The sedation dentistry options available at our practice make these world-class treatments available to a wider range of patients. Even if you have avoided treatment for years, our safe, effective sedation techniques can help you finally receive the vital care you need. The sedation dentistry options available at our practice can help you receive comfortable, stress-free care. Contact our office today to learn more about sedation, and to schedule a consultation with Dr. Cushman.